The baseball cap is a timeless accessory that effortlessly adds street style to any outfit. Coming in every colour imaginable, it is an essential component of any man's wardrobe. 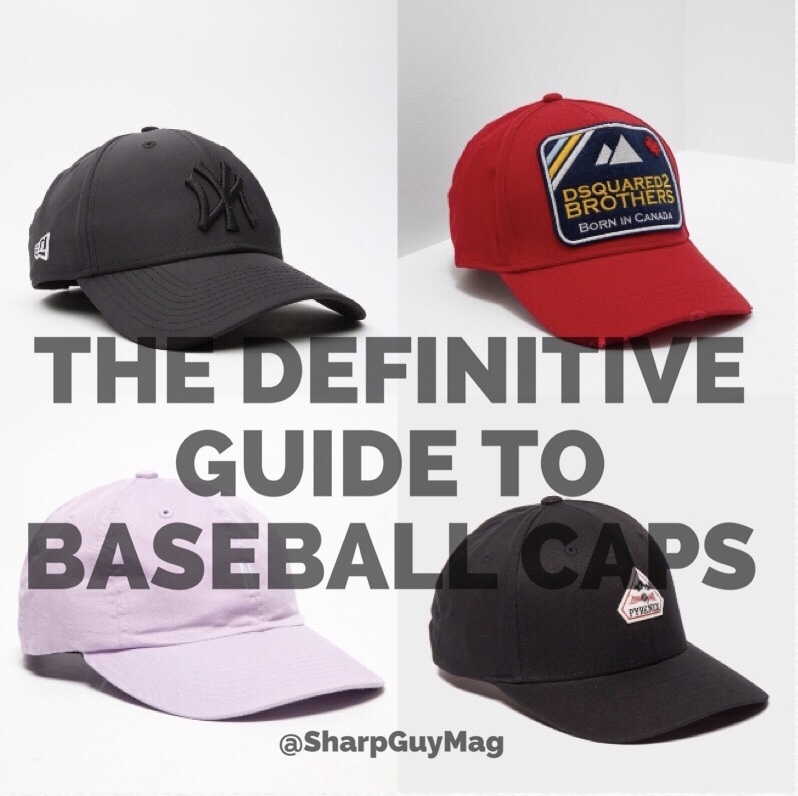 Here is Sharp Guy Magazine's definitive list of baseball caps that every man should own. Big rig ready Mitchell & Ness chew up and spit out a great casual headwear option with their signature sporting aesthetic. Featuring a cotton and mesh build, adjustable snaps, and embroidered front. This cap has been crafted from Fjallraven's G-1000 Original fabric that is 65% polyester, 35% cotton. 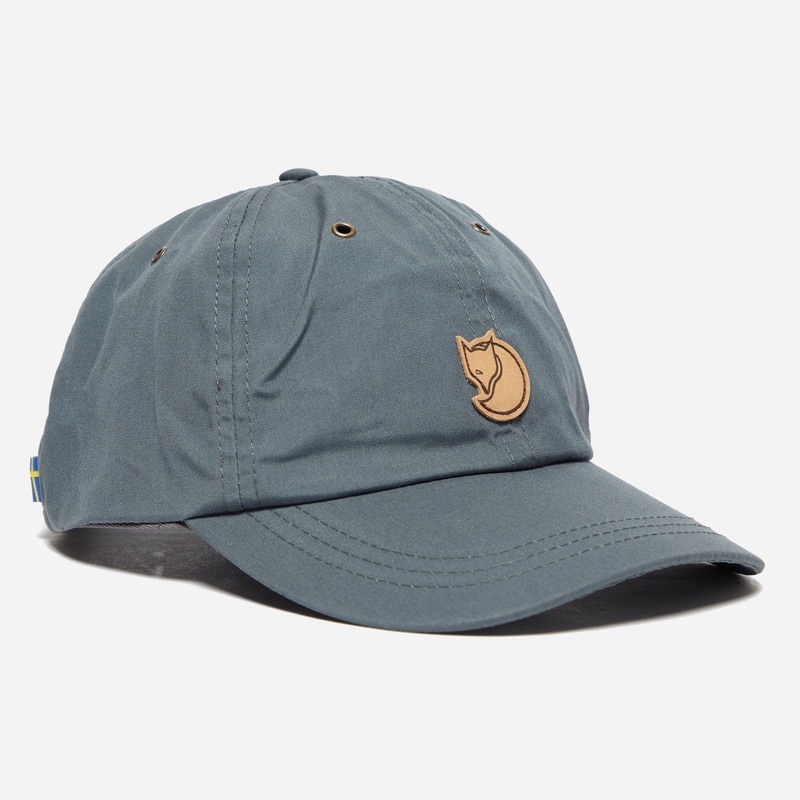 Features include six panels, ventilation holes, a curved visor, a rear adjustment strap and leather Fjallraven branding at the front to finish. Available in 2 sizes (small and large. 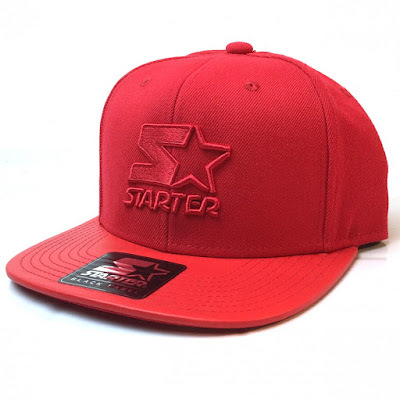 This cap has been crafted from a lightweight, 98% organic cotton with 2% elastane that allows that extra bit of give. 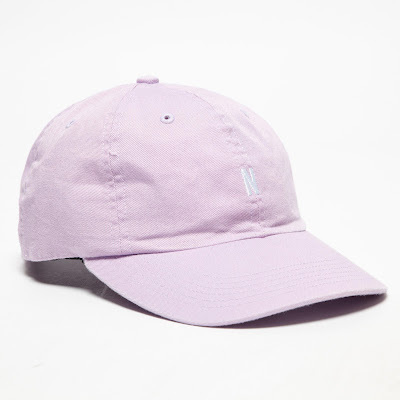 Features include a soft and brushed elastic headband providing a close and comfortable fit, six small ventilation holes, a curved peak, an embroidered P-6 logo to the front and smaller Patagonia branding embroidered at the rear left side to finish. Available in 2 sizes. 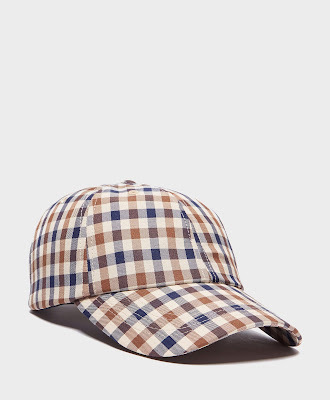 This one-size-fits-all cap features air vents, a cotton adjuster strap with a metal buckle to the rear with contrasting, embroidered Norse Projects branding at the front and tonal Norse Projects branding at the back to finish. 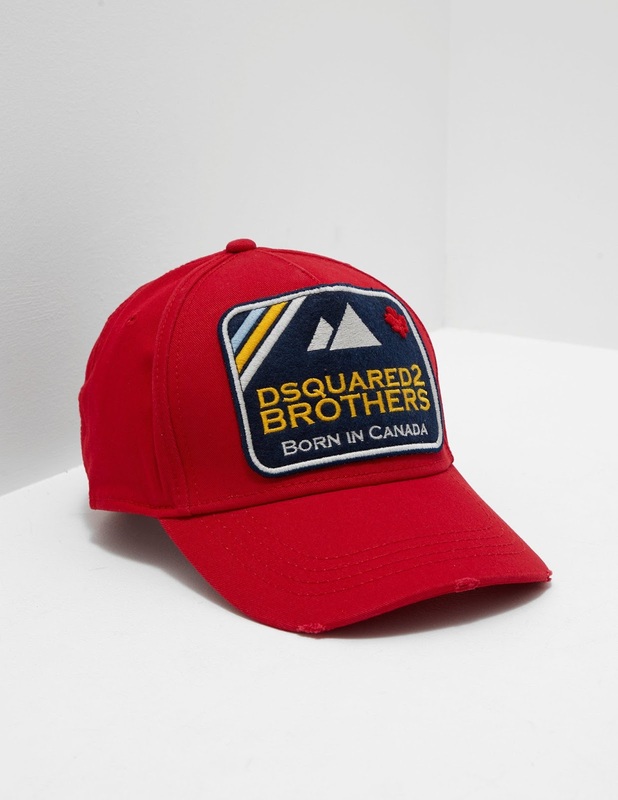 DQUARED2 brings this men's classic cap featuring an embroidered graphic and branding to the front influenced by the upbringing in Canada. With red cotton construction, tonal stitching throughout, embroidered text to the back complete with a metal adjuster. 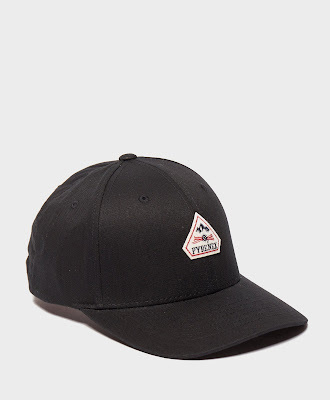 The classic American styling of Tommy Hilfiger is apparent in this men's Linear Logo Cap from Tommy Hilfiger which features a navy colourway with a linear logo design to the front in contrast red and white colours. It comes with clip adjustment strap to the back, navy colourway, cotton construction and finished with the signature Tommy Hilfiger colours to the linear logo branding embroidered to the front for that stand-out Tommy look. 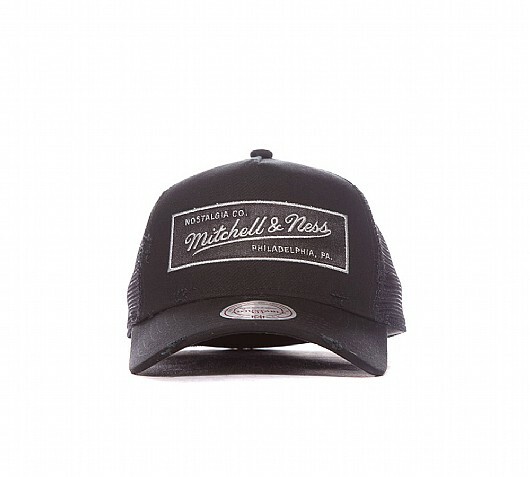 Arriving in a black colourway, this cap boasts a durable cotton constructed exterior with a Pyrenex badge to the front. It comes with tonal stitching, black colourway, cotton construction, six panelled design, adjustable back strap with metal clasp and finished with the signature Pyrenex brand badge to the front to complete. This Club Check Cap boasts a beige, brown and navy colourway in a checkered style along with a cotton & polyester construction. It comes with a stiff curved peak, adjustable woven strap to the back along with a metal clasp and finished with embroidered eyelets for ventilation. 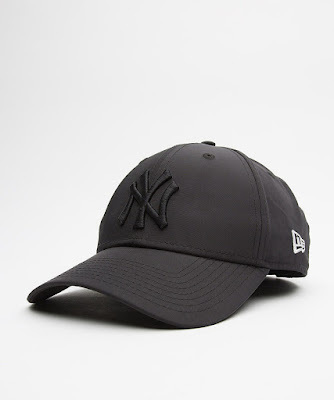 This Premium Sport Nylon NY Cap in Black is tonal throughout with an on trend lightweight sporting design, Yankees embroidery sits to the front of this nylon adjustable strap cap. Curved peak completes the casual look.